The GBA Slot was removed from the Nintendo DS in its most recent version, the DSi. Why Nintendo opted for this move, I do not know. The GBA slot, aside from allowing us to play Game Boy Advanced games on our DS, has some other uses too. 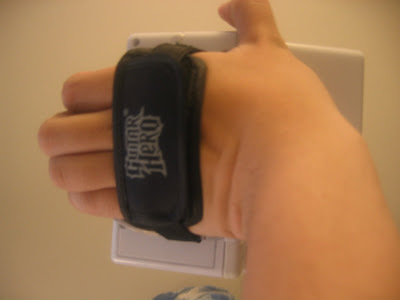 The Paddle Controller is another "good-to-have" DS Lite accessory. Although I can't think of any game to use it with except for Arkanoid DS. What worries me most is Guitar Hero: On Tour and the other rumored Guitar Hero games for the DS. This game requires the GBA Slot for it's unique controls. How are we going to play that in the DSi? Are you going to miss the GBA Slot?